A crazier Ferrari F12 Berlinetta? A rendering of what the next F12 “speciale” would look like. 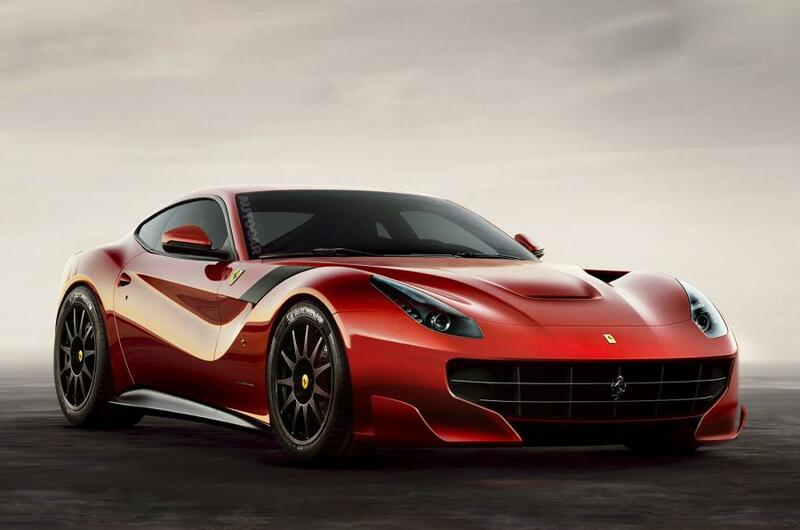 This just in, Ferrari announced it is working on a more powerful, lighter Ferrari F12 Berlinetta. It won’t be a replacement model, as it will be sold alongside it, same as Ferrari did with the 458 and 458 Speciale. It will be sold in a limited number of units though. The new F12, let’s call it F12 Speciale for now, until Ferrari decides of what the name should be, is going on a severe diet, in fact it is said that it will lose 200 kg (440 pounds) compared to the stock version. It is said also to have 30 more bhp to have a total power of 760 bhp of its 6.3L naturally aspirated V12. Racing from 0 to 100 kph will take 3.0 seconds or less. Ferrari will be aiming hypercar performance with this new model. The car will be more “track focused” which means, no sound systems, no navigation systems, or carpets as a matter of fact, that is how serious Ferrari is taking their diet idea for cars. It is announced that it will be revealed in next March, in Geneva Motor Show, until then, we expect more spy shots of the testing mule, and more informations, maybe a video teaser.